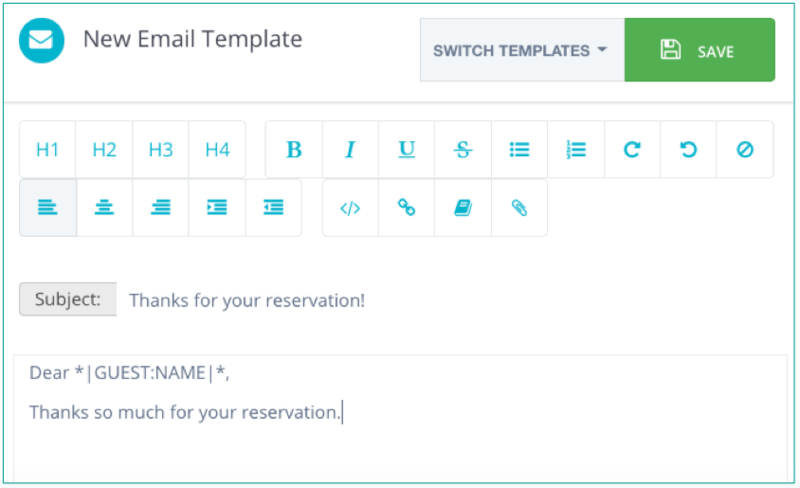 In Tokeet, you can create multiple templates for messages that you routinely send to guests or your internal team. Message Templates are utilized by Tokeet Triggers which can be event-based or time-based. Once you define a template and associate it with a trigger, you can send an email, send an SMS message, send a contract, or post to a URL. The process for creating Message Templates is easy with Tokeet. Please also feel free to use and build on our Message Template Examples. Click the green "New" button and select from template type: Email, SMS, Contract, or Payload. You will brought to the New Template editor. Type directly in the template editor. You can insert placeholders our system will automatically replace in real time by clicking on the "book" icon. This will open the Data Dictionary. Here are some commonly used Data Dictionary fields. Over forty fields are available! 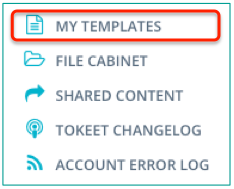 Once you have finalized your template, click "Save" to give it a name and store it in Tokeet. That’s it! Your message template is now available to you. 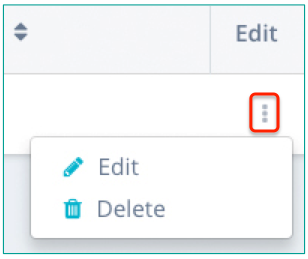 You can edit or delete your template by clicking on the three dots icon to the right of the template name. Once your template is created, it can be used in Tokeet Triggers. There are two types of Triggers: event-based, for example when a Booking is Confirmed; time-based, for example 7 days prior to Booking Start.